Dr. Berdahl began to question previous theories of the source of glaucoma during a scuba-diving experience with his wife 8 years ago. Considering the amount of pressure the water was putting on his eye, he wondered how it was possible that not all scuba divers develop this eye disease. The realization of this inconsistency in understanding glaucoma led to a fundamental discovery, as well as potential redefinition of this disease. 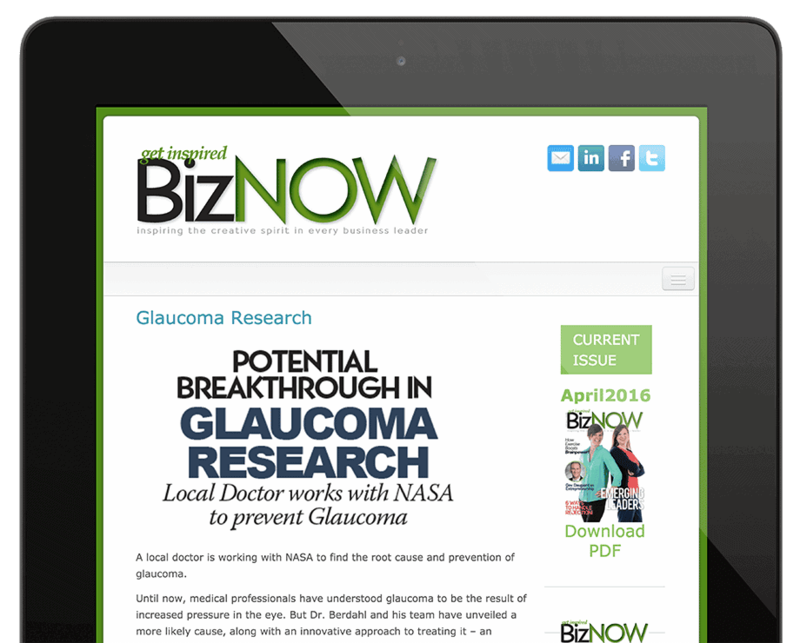 “That was the impetus for an idea which led to an understanding that glaucoma is not a disease just about pressure in the eye. It’s a disease about a pressure balance between the IOP (eye) pressure and the CSF (brain) pressure,” says Dr. Berdahl. Extensive research conducted at both Mayo Clinic as well Duke University was compelling; indeed, the findings suggested that a pressure imbalance between a high eye pressure and low brain pressure is important in the development of glaucoma. With multiple other scientists conducting similar studies with consistent results, Dr. Berdahls’s idea proved sound.